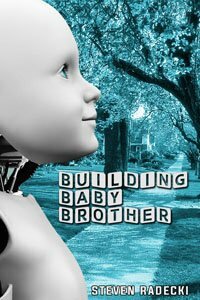 I am extremely pleased to be able to announce that my novella, “Building Baby Brother” is finally available. I’ve been tempted to proclaim it as “10 Years in the Making!”, but then I’d have to answer for why it took me ten years to complete the final draft. Suffice to say, for now, that it is finished and it is available for purchase directly from Paper Angel Press or from the major online booksellers. Making a Long Story Short . . . Otherwise, please buy and enjoy the story. And tell your friends!